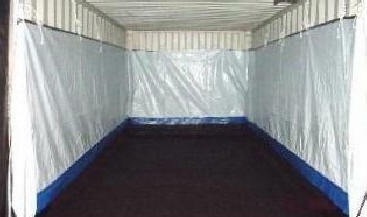 Western Ag Enterprises, Inc., specializes in the fabrication of shipping container liners. Shipping container liners will enable products to be transported without the possibility of the contents becoming contaminated, and prevent products from contaminating the shipping container. Western Ag specializes in the fabrication of liners specifically designed for the shipment of cattle hides. Please inquire for more information 1-800-622-0896.